If you’ve read any blog posts on marketing these days, you must have heard about SEO. 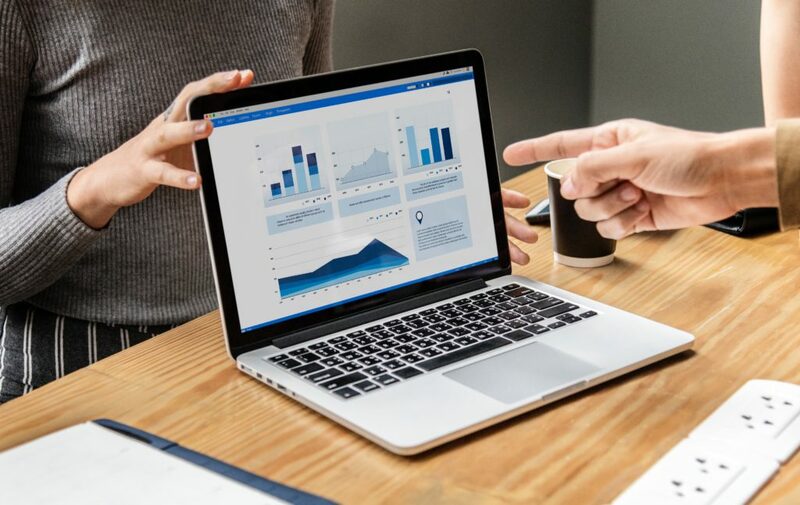 While it might seem like just another digital marketing buzzword, SEO is a must for almost any organization operating in the modern world, including for nonprofits. SEO stands for “Search Engine Optimization.” It’s the process of making changes to your website design and content in order to help it appear in the search engines. This helps you get traffic from the “organic” or “natural” search results on search engines like Google, Yahoo, or Bing. If you’re confused or intimidated by the prospect of becoming discoverable online and everything that entails, don’t worry — we’ve got you covered. In the article below, we will be sharing tons of insightful and actionable SEO tips and tricks with you. Why does SEO for Nonprofits Matter? Search engines are one of the primary ways people use to find your nonprofit website. And finding your website means finding your organization, information about your services, events, and your donation page. Search Engine Optimization refers to the process of employing a variety of strategies and techniques to rank highly in the search results page of a search engine (SERP) — including Google, Bing, Yahoo, and other search engines to increase the number of website visitors. And a high-ranking placement matters. It’s estimated that three out of four clicks from internet searches go to the top five positions on Google. And with nine out of ten (91%) clicks from Google Search going to the results on the first page, the value of SEO is clear. With more and more people choosing to give online, ranking highly is crucial to an organization’s success. Whether your goal is to raise awareness about an issue, increase online donations, or incite volunteering sign-ups, a good SEO strategy can help you get there. How Does SEO for Nonprofits Work? SEO doesn’t ‘discriminate’ based on your legal status. It doesn’t care if you’re a for-profit or a nonprofit organization. 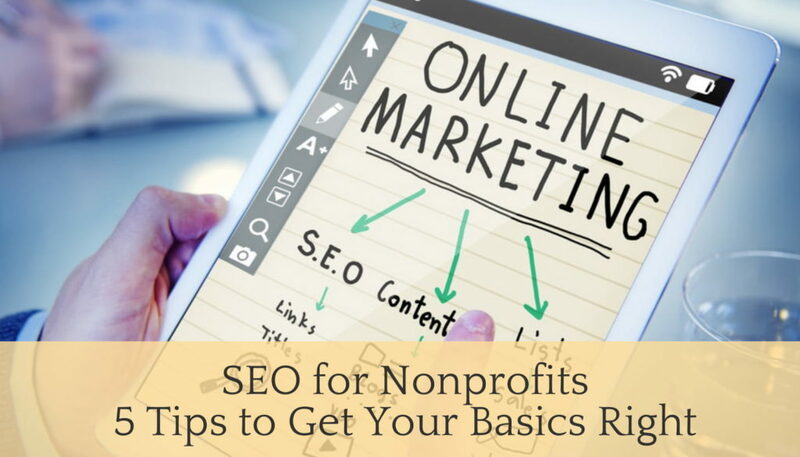 SEO for nonprofits, in that regard, isn’t that different from SEO for other businesses. When a person performs an online search, the search engine scours billions of documents (pages, pdfs, jpgs, and more) and does two things: first, it returns only those results that are relevant or useful to the searcher’s query; second, it ranks those results. For example, search engines will aim to deliver relevant results to searchers by trying to understand what the site is about through keywords, and will also display more user-friendly sites. Though search engine optimization can get quite complex when it comes to all the different factors that impact your ranking, this basic process is not as difficult to understand. There are more than 200 factors that affect your site ranking, but you can improve your website by simply working on a handful of them. 1. Get your keywords right. Keywords are ideas and topics that define what your content is about. In terms of SEO, they’re the words and phrases that searchers enter into search engines, also called “search queries” (e.g. homeless shelter Phoenix or animals charity Oxford). It’s important to use the language your audience uses because you might be currently describing your organization in slightly different ways. Find your keywords by talking to your customers, frequenting forums and community groups, and doing your own keyword research with a tool like Keyword Explorer. Create your keywords list based on this research. Use the keyword in your page title, preferably closer to the beginning. Place the keyword as soon as you can in the article (in the first 100 words), and up to 15 times total throughout. If you use the keyword too much, you will be penalized. Use the keyword in your H1 Tags. Place the keyword in every image alt text. Use the keyword in your meta description. Include your keyword or phrase in the image file title. Use long-tail keywords and use Google Trends to check what people are searching for. Although images and creative phrases are great, it’s the safest to spell out what your nonprofit does in simple terms that people know and search for (e.g. ‘lesson plan’ and not a ‘lesson flow’). Content is the king. Especially when it comes to SEO. While using shortcuts and tricks like keyword stuffing and cloaking (examples of black hat SEO) might lead to short-term results, they are frowned upon and not sustainable. 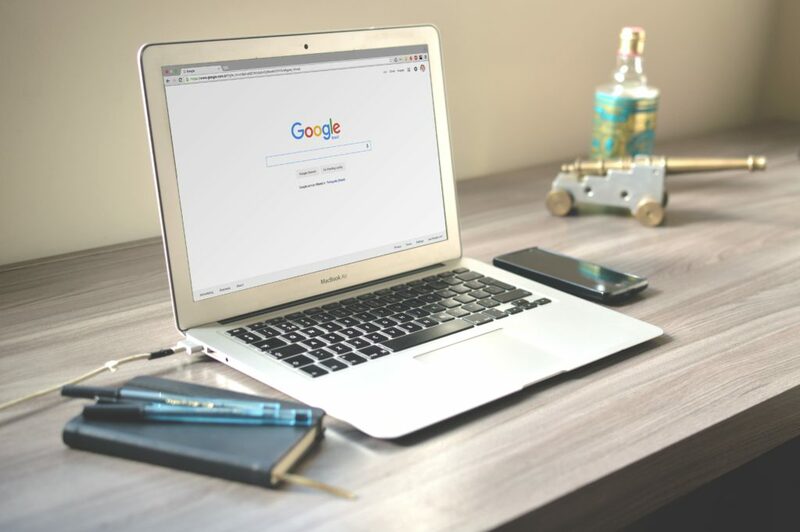 Search engines are getting smarter every day – they want to show the most relevant results to their customers, so they’re constantly altering the way they rank sites. The only way to sustainably optimize your site is by creating winning content. Create valuable, shareable, relevant content that adds value to your customers and answers their queries. Have each web page to target a unique primary keyword. Usually, your home page will target a very broad industry term. Your category pages, product pages, and articles should target more specific, niche needs. Look at your list of SEO keywords and see what kind of previous in-depth posts you can work those keywords into. Interview experts and influencers. They are likely to share your content via their social channels. Write fresh, engaging, high-quality blog posts relating to your work. Nonprofits don’t lack in great stories to share – showcase your beneficiaries, volunteers, share videos, photos, testimonials, interviews, and more. Eliminate or reduce aggressive pop-ups and make your images small. Create a variety of content (blog posts, videos, lists, infographics, guides, etc). 3. Have high authority websites link to your content. Search engine rankings are also determined by other sites that link to your site. The more the other websites link to yours, the higher you will rank. However, links by trusted websites that rank highly themselves are taken into consideration more. Backlinks are a so-called ‘off-page’ factor that impacts SEO. This is how Google determines whether you have a legitimate site that visitors can trust. Trust is becoming an increasingly important factor in a site’s Google ranking. Ask news websites to add your website link whenever you get featured in a story. Ask for backlinks from your corporate partners and sponsors. Collaborate with other nonprofits and have them link back to you in a blog post. Write guest blog posts on other websites and include a link back to your website. Produce great content (tip #2) that others will naturally want to link to. Make it in-depth (over 2000 words) so it gets top search rankings, and so people want to link to it and share it. Include social share buttons so that your content can get shared easily. Just like with keywords, you don’t want to overdo it with backlinks. Spamming sites with your links can get your site banned from the search engines. Link building takes a lot of time and efforts, but it’s a crucial part of SEO. Don’t get discouraged and keep at it! Mobile optimization is becoming an increasingly important factor in SEO. Mobile optimization takes a look at site design, site structure, page speed, and more. 58% of all searches in Google are now done from a mobile device. Google’s Mobile-first Index ranks the search results based only on the mobile-version of the page. Ensure that all the internal links and redirects are working. Speed up your website. 53% of visits are abandoned if sites take more than 3 seconds to load. Make your website responsive – where the design elements resize according to the device to give users a great visual and browsing experience. Responsive design should provide fluid browsing experience on whatever device users choose. Flash isn’t supported by most mobile (and many desktop) browsers. To make sure Google (and visitors) can access all content on your site, it’s best to avoid the use of Flash on your mobile pages. UX, UX, UX. Take care of the user experience. No zooming to read the text, no pinching, buttons too close to each other or too small to click. Pay attention to the rise of voice search on mobile phones. People behave differently when searching with the help of a search box and by voice. This behavior calls for a new kind of keyword research. Create accelerated mobile pages or AMPs — developed to deliver fast mobile content. AMP serves an HTML stripped down version of your website. Pro tip: Use Google’s Mobile-Friendly test to check if your website is mobile-friendly. Use Google’s mobile speed test to see if there are any speed issues. 5. Sweat the ‘small’ stuff. Mobile optimization, keyword research, great content, and backlinks are definitely the cornerstone of SEO. However, there are tons of other smaller things that can help your nonprofit website ranking. Don’t forget about other search engines like Yahoo and Bing. Add a Google Map image to your contact page on your website. Google gives ranking priority to those sites that use its products. 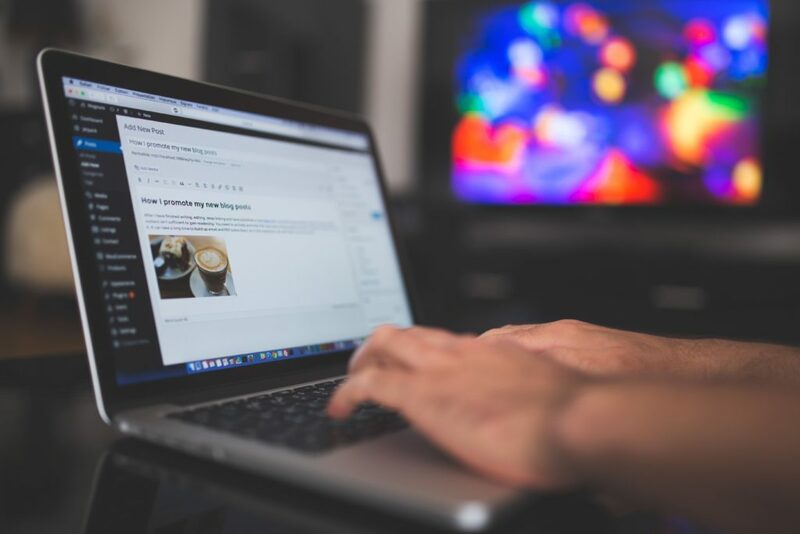 Make sure that your URLs are reasonably short (5 words or less), include your targeted keyword, and use hyphens to separate the words (not underscores). Create a sitemap. Sitemaps can be uploaded to Google Webmaster Tools, and provide Google with a better understanding of the structure of your site. Encourage supporters to review your nonprofit on a site like Yelp, Yellow Pages or another online directory. Create a Robots.txt file. This file helps Google’s web crawlers find and index your website while also giving the option to ignore pages from being indexed. Move your organization to HTTPS. Google believes that all user connections between its browser and the website should be secure. Avoid duplicating content and write original copy for each page. Include some strategy to update certain types of content once every 12 months or so. Google likes fresh content. Have good contact us page, Google values that. Start a YouTube channel with whatever video content you already have: talks at events, constituent testimonials, education videos. Search engines’ algorithms change rapidly, so even when you try your best to stay on top of SEO for nonprofits, there is always something new to learn, tweak or try out. You don’t have to be a SEO expert to improve how many people find your organization through search, so work on it as much as your resources allow you to. Always, and above all, focus on the human audience that will be clicking on and reading your website content, and not on the search engines. If you focus on creating the best content possible on a website that’s easy to read and navigate while also following the search engine’s rules for optimization, you will be well on your way to building a successful online presence for your nonprofit organization. Keep in mind that search engine optimization takes time to work its magic. It may take months to enjoy the results of your hard work, but once you do – all the efforts will pay off! Choose Donorbox as your online donation system and check out our Nonprofit blog for more helpful nonprofit resources and tips.